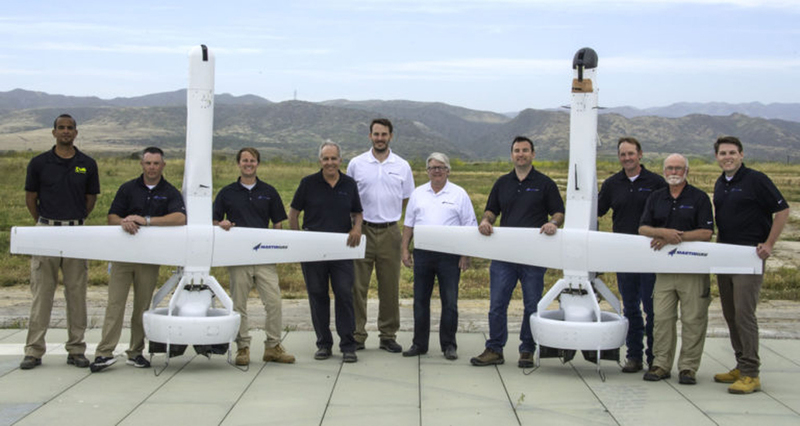 Textron and Martin UAV have been down-selected by the U.S. Army to provide their respective vertical takeoff and landing (VTOL) systems for a brigade combat team (BCT) evaluation for the service’s Future Tactical Unmanned Aircraft System (FTUAS) program. FTUAS will lead to the procurement of a replacement for the army’s in-service Textron Shadow UAV, and a March 28 contract announcement from the U.S. government revealed that both Textron and Martin UAV would compete for task orders under a firm fixed-price procurement contract, with an available $99.5 million of funding, selected from 11 bids that the army received. Work locations and funding will be determined with each order, the government notes, and the contract is expected to complete by March 27, 2022. Requirements for FTUAS specify a runway-independent system, so vertical takeoff and landing UAVs have been selected for this advanced phase of the program. Textron is offering its Aerosonde HQ for the effort, a newly developed hybrid variant of the fixed-wing version that is able to take off and land vertically using a retrofit kit. Martin UAV, meanwhile, is offering the ducted-fan, tail-sitter V-BAT, which the company describes as a VTOL UAV and not a hybrid. In November 2018 the company teamed with Northrop Grumman to offer the V-BAT for the FTUAS requirement. This contract announcement follows a series of flight tests by teams bidding for FTUAS that took place in recent months at Dugway Proving Ground in Utah. It will now lead to further operational evaluations to assess the army’s preference under the BCT, which will provide the service with an opportunity to develop its concepts of operations and the subsequently select the system it wants to operate. In parallel to FTUAS, the U.S. Army is upgrading its in-service Shadow fleet with new enhancements to take it to a so-called Block III configuration, adding a new liquid-cooled engine that will provide a lower acoustic signature, increased reliability, and 10 additional horsepower over the previous iteration. The noise of the Shadow is one of the main criticisms of the platform, so the lower acoustic signature is seemingly aimed at targeting this issue. Other enhancements include an enhanced video payload, modifications to make it easier to operate in adverse weather conditions so it can support manned counterparts, and enhanced communications relay capability via a joint tactical radio system, which extends the frequency bands, in addition to single-channel ground and airborne radio system and voice over IP capabilities.